Belarus and Ukraine may increase mutual commodity turnover to $5 billion in 2018, Belarusian Deputy Prime Minister Igor Lyashenko said. "Positive dynamics of trade and economic relations between our countries was observed in the past few years. 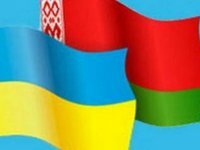 We have managed to stop the fall that was in 2013 and resume growth," Lyashenko said at a plenary session of the first forum of Belarusian and Ukrainian regions in Gomel on Friday. "We project commodity turnover at $5 billion this year [an 8.7% increase from 2017]," Lyashenko said.